Back in 2008, Nintendo did the unthinkable. They added a legitimate story mode to Super Smash Bros. Brawl. Unique levels, new enemies, and cinematics to help tell the story. The best part was that none of the characters really ever talked, not even the antagonists. Some sounds sure, but never full on monologuing. And yet, everyone understood the story, and it was amazing. It was also a dream come true because it had all these Nintendo characters(and guests) coming together. It even kept the concept of all the characters actually being statues. And then Smash Wii U came and screwed it all up. The game released with no story mode. The reasoning behind the decision was that the developers put all that time and effort into it for players to enjoy, but it got recorded and put up on Youtube for anyone to watch. Apparently Sakurai didn’t like that. To some extent I can understand, especially with todays industry where just about any game will be streamed by Youtubers or on Twitch for many to watch, but never play themselves. But no matter where I go, one of the requests I often see from fans is for a Subspace Emissary 2, and Smash Ultimate is the perfect time to do this. 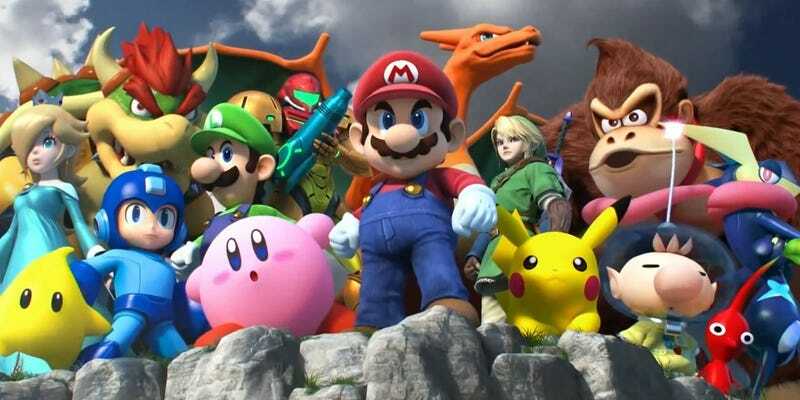 The name, the roster, the gameplay changes, everything points towards this being the definitive, and potentially final, Smash Bros. game, and we’ve been told not to expect much in the way of DLC characters, so it’s safe to assume that the roster revealed at E3 is more or less it for the games life with maybe one or two additions. And then they revealed Ridley with a ridiculously beautiful CG trailer and it got me pumped for the idea of what a Subspace Emissary 2 could be. And if this is indeed the final Smash, then it’s only fitting that one of the greatest crossovers in gaming history gets to go out with one hell of a bang, the full roster present and accounted for. This week, Nintendo has announced that Smash Bros. Ultimate Direct will be broadcast on August 8th. It’s strange that they’d have a Smash-focused Direct after they pretty much blew their whole load at E3, and the game really doesn’t need a boost to the hype train, it’ll get along just fine until December. So what then, could they possibly need a solo Direct for? My guess, or maybe it’s just a personal hope, is that they plan to reveal a successor to Subspace Emissary, as that would be the only thing I can think of that would probably warrant its own Direct.